The piece I was originally going to run today has to wait a week and instead of pulling something out of the archives, I decided to do a quick Q&A. Question: Hello Lyle, as you know in Bodybuilding there are two phases to build muscle (off-season) and to strip off excess fat. When you want to get rid of excess fat there are different ways to plan the deficit. You can use a low, medium or high deficit. The question to me is, what is the best way to keep muscle during that period (steroid free). You need to have a deficit and therefore you also will lose muscle. Let’s say, you are at the end of your bulking phase with 20% body fat and start dieting from there until you get to your 10% mark. Is there a difference in terms of muscle loss (catabolism) when you do it slowly with up to 500 kcal deficit or more aggressively with a deficit of 1000 kcal?? Both scenarios end when you hit the 10% mark! Do you have research on that? Answer: Ok, first let me start with a big assumption in the above which is that you must lose muscle on a diet. This has been taken as fact for years and I’ll be honest that I used to repeat it many years ago. But it’s not really true. A lot of early dieting practices, much of which came out of the drug fuelled 80’s (and which didn’t work for naturals) do allow muscle loss. But it doesn’t have to happen if you do things right. For example, people using my Ultimate Diet 2.0 (which alternates a very large caloric deficit for about 4 days with 3 days high calories) has gotten people very lean while gaining muscle. 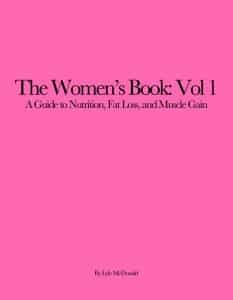 My Rapid Fat Loss Handbook creates a very large deficit but since protein intake is high (up to 2 g/lb for leaner individuals) and mandates proper heavy weight training, muscle loss is minimal in most people. The problem early on was that dieters tried to do what drug users were doing. They dropped heavy weight training for high-rep/short-rest training; that causes muscle loss. They tried to maintain the same lower protein (and naturals need much more protein to spare LBM); in his review Eric Helms recommends up to 2.3-3.1 g/kg (1.1-1.4 g/lb) which is exactly what I recommended in the Protein Book in 2007. With that said, let me answer the rest of the question. Yes, early research did suggest that there was a relationship between the size of deficit and muscle catabolism but there are some problems I see with that conclusion. Many of those studies gave like 320-400 calories/day and maybe half of that was protein. That means that the dieters got like 50 grams of protein per day which is way below what even the obese need (1.5 g/kg protein or about 0.7 g/lb). That’s what caused the muscle loss; too little protein. And of course no resistance training. Insufficient protein causes muscle loss. Beyond that, there have been some recent studies looking at this. The first put obese men on either a very low calorie diet for 3 weeks or a low calorie (both of which contained a stupid 50 g/day of protein which is still too low given that the dieters were about 107 kg; they needed 150 g/day or so) diet for 6 weeks to generate the same total fat loss. The low calorie diet (with more calories) actually lost MORE lean body mass probably related to the length of the diet (and the stupid low protein) but they also lost more fat. Another study, this time in elite athletes, aimed for either slow or fast weight loss (once again, the fast weight loss athletes were done in half the time) with the slow group getting 1900 calories (a 450 cal/day deficit) and 1.6 g/kg of protein (closer but still too low) or 1700 calories (an 800 cal/day deficit) and 1.6 g/kg of protein. The fast weight loss group lost a tiny amount of LBM (about 1 lb) while the slow weight loss group actually gained a bit of muscle. But this is kind of misleading, the athletes were training their upper bodies for the first time and the muscle gain was a newbie effect. The fast weight loss group also lost a bit more fat. But I’d make a big point, a faster diet, in addition to probably not causing more LBM if you do it right, is over faster. If your diet is done in 3 weeks versus 6 weeks, you can get back to real training on maintenance or slightly higher calories sooner. So if you’re diet is over in 3 weeks (compared to 6) you can spend the next 3 weeks training more efficiently. I bet those 3 weeks of real training put any small amount of muscle lost back on and let you gain more muscle too. Now, I’m not recommending that all dieters follow fast fat loss diets. But it’s pretty clear that given sufficient protein and training, any LBM loss is minimal overall. And it’s not much greater with fast fat loss. So most of these old ideas floating around are actually wrong. You don’t have to lose muscle and if you get sufficient protein, heavy training and don’t go nuts on cardio, you won’t lose more with a faster fat loss than with a slower fat loss. And you can get back to non-dieting training sooner.